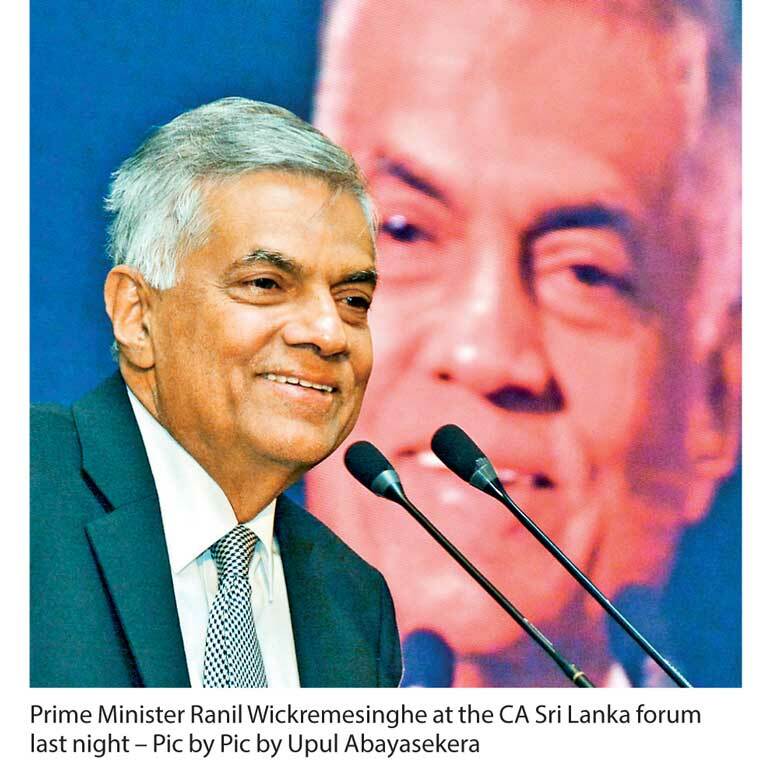 Taking a break from his campaigning, Prime Minister Ranil Wickremesinghe yesterday underscored the importance of putting Parliament at the centre of public finance, outlining intentions to establish a Parliamentary Debt Office. Addressing the Institute of Chartered Accountants of Sri Lanka members who had gathered for the induction ceremony of their 24th President Jagath Perera, Prime Minister Wickremesinghe emphasised the changes that had been introduced by him to restore Parliament as the guardian of public finance. He also noted that a special government committee was tallying up accounts of public finance including debts to aid policymaking. The local private sector would also have to take the lead in driving economic growth, the Prime Minister said, insisting that the Government was unable to take on this task due to its hefty debt burden. The Prime Minister also outlined significant debt payments that would pose challenges to continuous growth and macroeconomic stability unless it was managed carefully. “I can tell you one thing, my mother used to say always pay your debts, don’t ever leave it too long. My wife shouts at me but now I have learnt it’s only $ 21 billion so I can have a good night’s sleep,” he quipped. The Prime Minister said he had consulted the Attorney General who had assured sufficient provisions existed in the law where bonds in the hands of bona fide holders were valid. However, the Prime Minister had assured the Attorney General that he would take steps to pass additional legislation if necessary to protect all bond holders. Future borrowings would be done with an eye on how repayments could be made with a smoother process, he added.